Do you lose money when you sell your house as is? 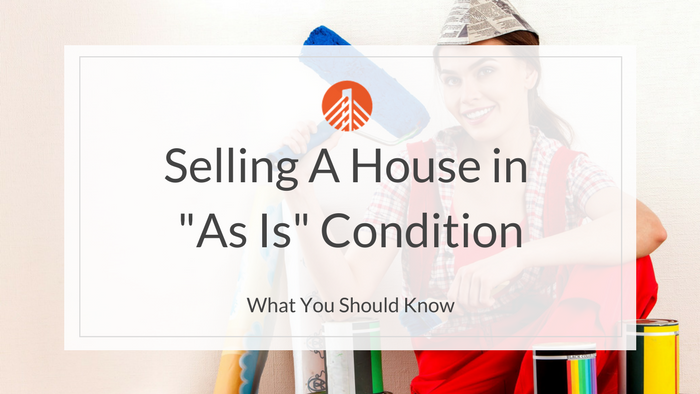 If you’re thinking about selling your house in as is condition, keep reading. We’ve included the top 3 things you should know before you make a decision and a sample comparison of what an as is sale costs versus a traditional sale. 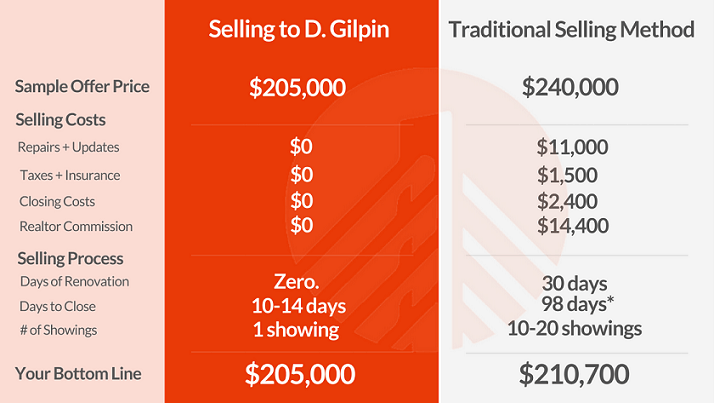 Here’s a comparison of how selling your house directly to a seller in as condition (e.g. a real estate investor) differs from listing your house on the MLS. Selling directly to a professional home buyer (usually for cash) is a great option for as is sellers. Unlike FSBO and listing with an agent, you do not have to list your house and wait for an offer. A home buying company typically makes you a cash offer on the spot. People who do not have the time or resources to prepare their house for sale are prime candidates for this selling method. 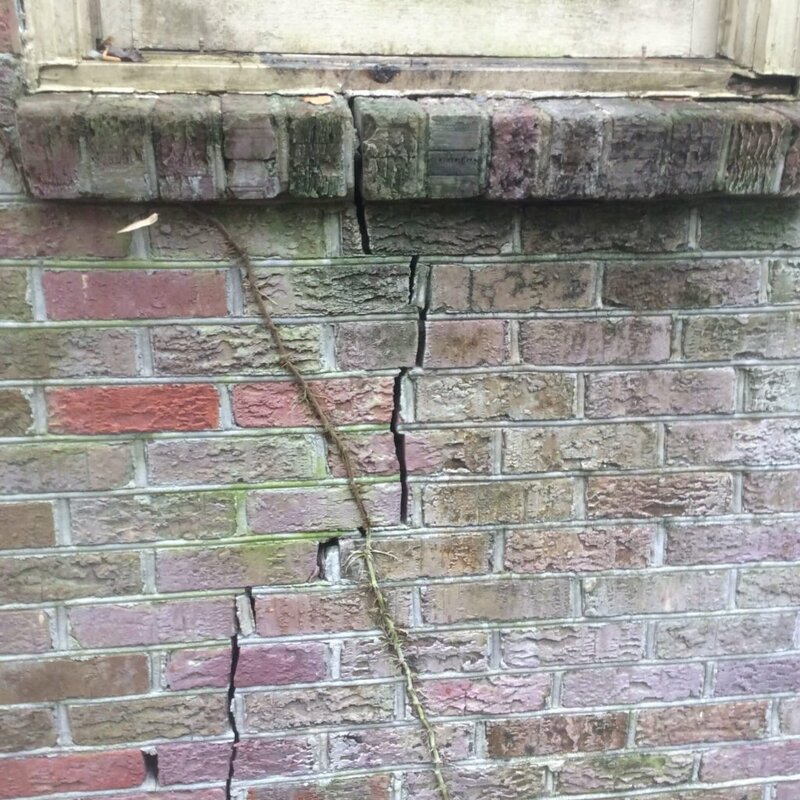 Even if you list your house “as is”, you still have to disclose your house’s known defects. You should make it clear from the beginning that you will not be performing any repairs. You are not obligated to make these repairs, but you do have to inform potential buyers of any issues you know about. Termite damage, roof defects, foundation damage, and mold are among the items you will need to disclose. Be prepared that these disclosures may scare away a potential buyer all together. Professional home buyers will still purchase your house but may factor repair costs into their offer. Do you want to sell your house “as is” in Charleston? Find out what we can do for you! Call Us Today @ 843-800-2741 !